Prof. Dr. Robert Sausen received his diploma in Physics at Eidgenössische Technische Hochschule (ETH) Zürich, Switzerland in 1979. In 1983 he received his Dr. rer. nat. by the Technische Hochschule Darmstadt, Germany. He worked as a postdoc at the Max-Planck-Institut für Meteorologie, Hamburg. In 1986 he became a Hochschulassistent (assistant professor) at the Meteorologisches Institut of Universität Hamburg. In both positions he worked on coupling of atmosphere and ocean models, climate simulations, and atmospheric diagnostic. 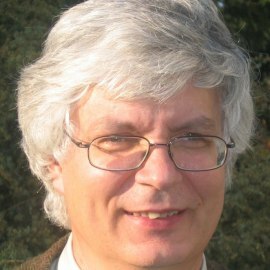 In 1991, he got his habilitation and venia legendi for Meteorology at Universität Hamburg. In the same year be became head of the department Atmospheric Dynamics (now: Earth System Modelling) of the DLR Institute of Atmospheric Physics at Oberpfaffenhofen, Germany. Since 1992 he is a member of the Fakultät für Physik of the Ludwig-Maximilians-Universität München, where he teaches meteorology, since 2000 as a professor. At DLR, the work of Prof. Sausen is dedicated to the impact of transport, in particular aviation, on the chemical composition of the atmosphere and on climate. He was Coordinating Lead Author of the IPCC Special Report "Aviation and the Global Atmosphere". In 2000 he was awarded the Otto-Lilienthal-Preis. Prof. Sausen is author of more than 100 peer reviewed papers.